The corpus of material from Roman Egypt is one of the most fascinating in studying ancient Egypt’s funerary remains. However, with the exception of painted panel portraits on mummies of the period, much of this material has received little attention from academia and public alike. The value of this publication, which condenses the author’s doctoral thesis, lies in its thorough analysis of often poorly-recorded material dispersed in museums throughout the world. 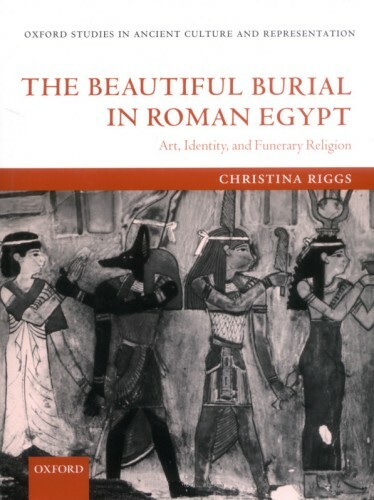 Riggs concentrates on the series of mummy cases, masks, shrouds, coffins and tomb paintings incorporating aspects of Greek and Roman art into traditional Egyptian burial forms. She analyses stylistic development in conjunction with other contemporary art forms, texts and funerary inscriptions in order to gain insight into the ethnicity, social status and religious beliefs of the populace. Chapter One presents an overview of art and religion in Roman Egypt and an account of previous studies in the field. Riggs suggests that the amalgam of styles and motifs, formerly categorised as of mixed style and even considered degenerate by many, is due to a deliberate choice rather than any misunderstanding of Egyptian funerary art forms. She proposes that the use of more naturalistic portraiture and the depiction of contemporary clothing and hairstyles indicates a desire to perpetuate status and gender in the afterlife. by females of the Akhmim Group is to ‘tie’ the image to Hathor, and that the dual styles emphasise the importance of perpetuating social status in death, as well as gender. Chapter Three investigates this concept further in narrative scenes on a series of masks from Meir and in Funerary House 21 in the cemetery of Tuna el-Gebel, in which the deceased is similarly attired. Riggs equates the narrative to stages in the deceased’s journey through death to transfiguration. Her analysis of the accompanying inscriptions reveals a predominance of now Greek versions of Egyptian names, implying a bilingual society. The question of cultural identity is further investigated in relation to images of the deceased in the style of orator-type portraits on the lids of wooden coffins from Abusir el-Meleq, and on the ‘Psychopomp’ shrouds from Saqqara. Riggs compares the image to contemporary commemorative sculpture and suggests that the intention may be to represent the deceased as a cult image. The Psychopomp shrouds portray the deceased within a portal, which Riggs interprets as representing the threshold between life and transfiguration. She develops this theory in a discussion of images on tombs of the period at Akhmim and in the Dakhla Oasis where the orator-style image of the deceased alludes both to his cult status and his transition to the afterlife. Chapter Four is dedicated to the funerary material from the Theban area, which retained its importance as a religious centre into the Roman Period. Although more conservative than art forms from other areas, the material does incorporate some new features. The traditional image of the goddess Nut is present on coffins of the Soter Group, but she is now clothed in contemporary costume and jewellery, and naturalistic portraiture is combined with traditional native imagery on mummy masks from Deir el- Bahri. Riggs’ detailed study of accompanying inscriptions and texts reveals that the deceased were members of local élites, were probably bilingual and devotees of local cults. She concludes that in the Roman Period the concept of maintaining one’s status and gender into the afterlife became as important as the preservation of the corpse and transfiguration of the deceased. Far from being ‘degenerate’, the material manifests that patrons exercised choice as to how they wished to be depicted in death, being able to draw upon the characteristics of three artistic traditions. The text is supplemented by numerous photographs, drawings and plates, together with an invaluable Appendix and Register of Museums. This study succeeds in placing the material in its rightful place as a fine example of what happens when three great artistic traditions meet and interact. ISBN 978 0 19 927665 3. Hardback, price £75. Judith is the author of The Art of Death in Graeco-Roman Egypt. There can be few who do not know the story of Cleopatra – recorded by classical scholars, re-told by Shakespeare and interpreted by film makers. But what do we really know about Cleopatra, the last Queen in a dynasty of Macedonian rulers of Egypt? Her ancestor, Ptolemy I, seized control of Egypt after the death of Alexander the Great. Because of this, many Egyptologists see Cleopatra as not really ‘Egyptian’ and studies of her have been mainly undertaken by Graeco- Roman scholars using the ‘evidence’ of Roman reports, probably biased and written after her death. This new biography of Cleopatra is one of the few written by an Egyptologist. As perhaps the Ptolemies did themselves, she sees Cleopatra and her predecessors as a valid Egyptian Dynasty, the direct heirs and descendants of the culture of ancient Egypt. The emergence of Rome as a power and internal disputes there are why Egypt was seen as a potential ally and a source of wealth. This why and how Julius Caesar and then Mark Antony were to meet Cleopatra. 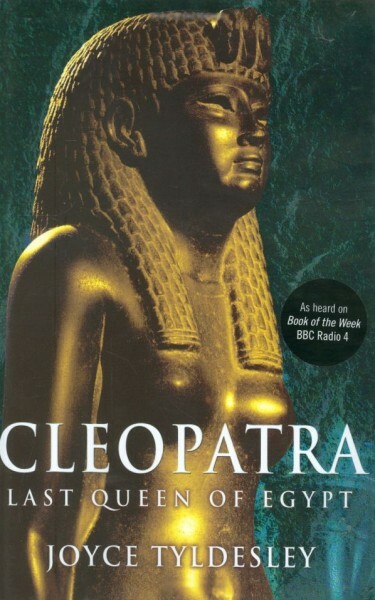 The author shows how Cleopatra was a well educated and able ruler and a devoted mother. Like her predecessors, she worshipped the ancient Egyptian gods and was seen by many as the personification of the goddess Isis, mother and protector of the future pharaoh (her son by Julius Caesar, Caesarion). Her ambition matched that of Caesar and Antony and whilst Rome may have been using Egypt, then Egypt certainly used Rome. The story of the Ptolemaic Dynasty, and particularly its end, is complex and bloody and the author does an excellent job in presenting this fascinating tale (which is often better than fiction) in a clear and understandable way. It is a story that will endure and be told many times, but in this biography one can see an Egyptian Queen struggling against internal problems and external pressures and almost succeeding in securing her throne and dynasty. Unusually, perhaps, for a work of non-fiction, this book was chosen by BBC Radio 4 as a ‘Book of the Week’ in January; abridged extracts were read, although these concentrated on the story, rather than the archaeology, which is an important part of the book. Published by Profile Books, 2008. ISBN 978 1 86197 965 0. Hardback, price £20. Napoleon Bonaparte’s campaign to Egypt was a massive undertaking. Napoleon seemed to think that he was liberating Egypt from the oppressive foreign rule of Turkey and that if France ruled Egypt it could be the start of a new empire rivalling that of Alexander the Great. He realised his campaign might prosper if he could win the hearts and minds of the Egyptians, so he told them that he and his army wanted to be Muslims, too. 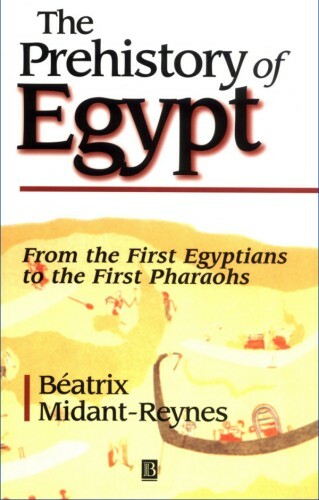 Not surprisingly, as this book reveals, the Egyptians were not convinced and were not happy being invaded, whatever the motives, even by a country with a modern, and therefore obviously ‘better’ democracy. Turkey declared war on France and the resultant fighting saw two hundred French and some two thousand Egyptians dead, but with the French more or less in control of Egypt. This meant that another important aspect of Napoleon’s expedition could begin, with his team of one hundred and fifty-one French scientists, scholars and students who set out to explore and document Egypt. Thirtyone of them were to die in Egypt, but the survivors who returned to France were responsible for the massive twenty- four volume Description of Egypt which helped to reveal to the Western world the mysteries and great antiquity of Egypt. This is a readable and fascinating tale of Napoleon’s ‘savants’. The chapters look at many of the individuals on the expedition and their work, with chapter headings including ‘The Engineers’, ‘The Doctors’, ‘The Artist’, ‘The Naturalist’, ‘The Zoologist’ and ‘The Mathematician’. As the author shows, although Napoleon’s military campaign failed, the campaign of his scientists was to have a long-term impact. ISBN 13: 9780060597672. Hardback, price $29.95. 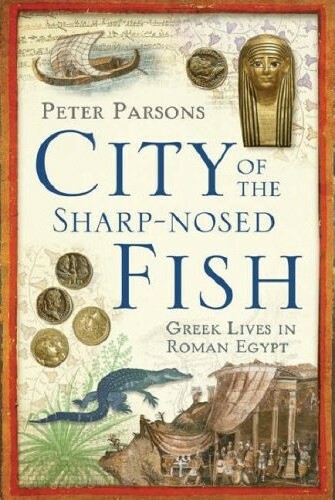 In 1897, two Oxford archaeologists, Grenfell and Hunt, began digging in an relatively unknown site in Middle Egypt, known as Oxyrhynchos – “The City of the Sharp- Nosed Fish”. What they found was a veritable hoard of fragments of papyri, some fifty thousand of them. Written in Greek, the contents of the papyri have provided an amazing insight into life in the Hellenic world and have kept scholars busy ever since – to date only a small proportion have been read and published. Found, in what was effectively an ancient rubbish tip, were masterpieces of Greek literature, and fragments of poems and histories. Many of the documents date to the early years of Christianity, including a section of the suppressed Gnostic Gospel of Thomas. Also found were writings of a more practical nature, created by businessmen and bureaucrats. These include tax returns, petitions, private letters, sales documents, loans, leases, wills and even shopping-lists. The author has been working on these papyri for over fifty years and this is the first book to tell the story of the remarkable discovery. It is the individual voices from the past that make this book so fascinating, although the glimpses into the lives of the inhabitants of the town are frustratingly fleeting. 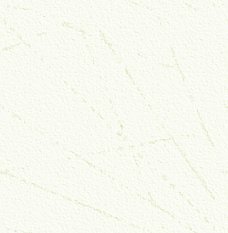 We read of a teenager who wanted to visit Alexandria and wrote to his father “... if you refuse to take me with you to Alexandria, I shall not write you a letter or speak to you or wish you good health.” A man worries that a woman in the country is lonely, and asks a friend to send her a puppy. Did the youth visit Alexandria? Did the puppy arrive? I suppose we may never know, unless the answers lie in the many boxes of fragmentary papyri, now in Oxford, still to be studied. Published by Weidenfeld & Nicolson, 2007. ISBN 978 0 297 64588 7. Hardback, price £20. This is a paperback edition of Toby Wilkinson’s book, the hardback version of which was published in 2005 and reviewed in AE in Feb. 2006. If you missed it before, then this is an opportunity to buy this book in the cheaper paperback format. ISBN 978 0 500 203965. Paperback, price £9.95. The history of the origins and early development of the ancient Egyptian civilisation before the first pharaohs is crucial to the full understanding of what happened after and is one covered by surprisingly few books written for the more general reader or student. This new publication, translated by Ian Shaw (who also revised and updated the text) is, therefore, a welcome addition. Ideas and views on the formative period of Egyptian history have changed over the last one hundred years and now the study of Egyptian prehistory is a developing area that is often overturning many earlier established theories. The book looks at the prehistory chronologically and in particular at the many sites in Egypt where archaeology has found hard evidence. We know that pottery and textile production began at the end of the seventh millennium and had become very sophisticated by 4500 BC, and that cosmology and burial rites were established then. Much of what we would characterise as, and recognise as, ancient Egyptian was developed in this period. This is a readable and scholarly book, bringing a wealth of information. It is highly recommended to anyone who is making a serious study of ancient Egypt and it includes a substantial and comprehensive bibliography for those who want, or need to read more on the subject. ISBN 0 631 21787 8. Paperback, price £19.99. ISBN 978 0 500 284032. Paperback, price £14.95. 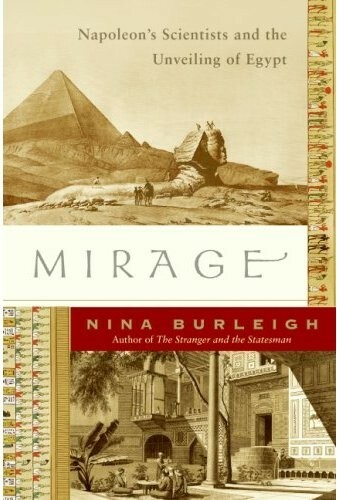 These books were first published in hardback in 1996 and 1997 respectively. They were not reviewed in AE, but as they are old books, a full review at this time is probably not appropriate. Suffice it to say that these are both excellent books and absolutely ideal for anyone new to the subjects or who wants to learn more about them. If you did not buy a copy of each the first time round, then the opportunity to purchase them now should not to be missed. Both books are well researched, written and illustrated and have impressive bibliographies for further reading. It is a pity, though, that the publishers did not take the opportunity to allow revisions. 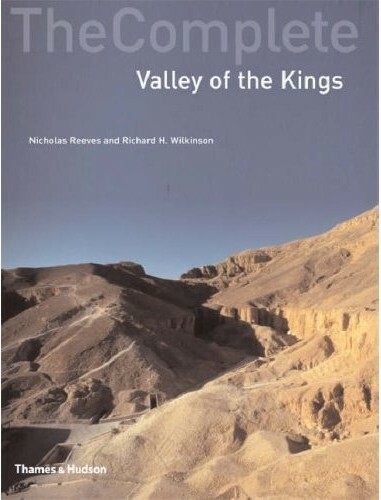 Whilst it is impossible to give a definitive account of information that is constantly being updated, there have been some significant new discoveries in the Valley of the Kings and at some of the pyramid sites in the last ten years since the books were first published; they merit a mention. ISBN 978 0 500 285473. Paperback, price £14.75. 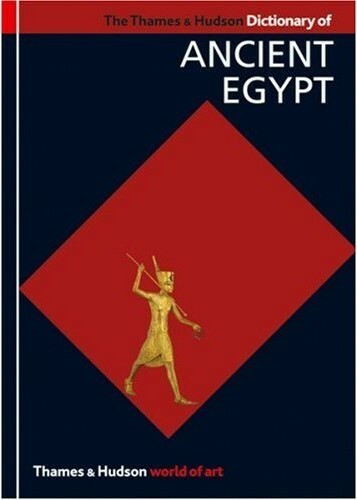 This book is described on the cover as one that “no Egyptologist can be without”, so clearly is aimed at the serious reader, rather than perhaps those new to the subject or younger readers, which is what I assumed when I saw the layout, design and content of the book. 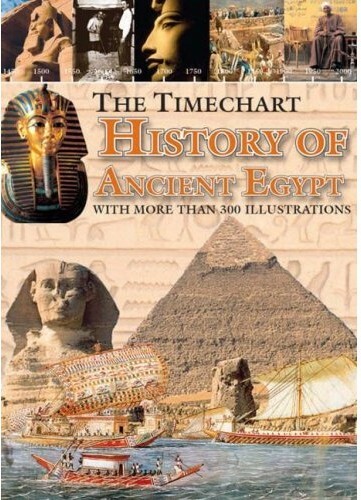 The concept is good: to approach the history of Egypt in chronological order, with short entries, if not on a year by year basis, then in date order from 7000 BC to 600 AD. The result, though, makes for a disjointed read, with tantalising sentences and subjects about which one might want to know more. For example: “2300 BCE. One limestone statue is a self-portrait of the sculptor as an emaciated rustic: his ribs show, and his legs are very thin.” Who is this sculptor and why isn’t there an illustration of the statue? The book is well illustrated, though many of the illustrations seem to be either drawings or digitised images derived from photographs (which is why I initially thought this was a children’s book). The author also uses the Greek versions of names, hardly ever seen in publications now: Cheops for Khufu and Sethos for Sety. My main area of concern about this book is the large number of errors, especially in the picture credits, with inaccurate captions, and ones which I would have thought that any Egyptologist author would never have allowed into the book. This highlights the problem that the author is not an Egyptologist. She may have studied archaeology and ancient history in India and published books (not on Egyptian subjects) but some of these errors are inexcusable. I fear an opportunity has been lost here in what could have been a good book. 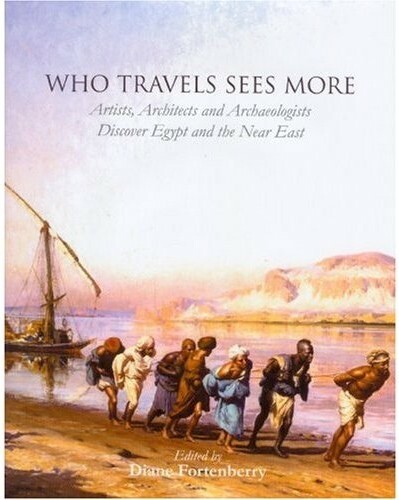 If book-buying readers of AE, want to find out for themselves if a book is worthwhile, they should firstly look at who the author is, what they do and whether they have published a book on Egypt before. 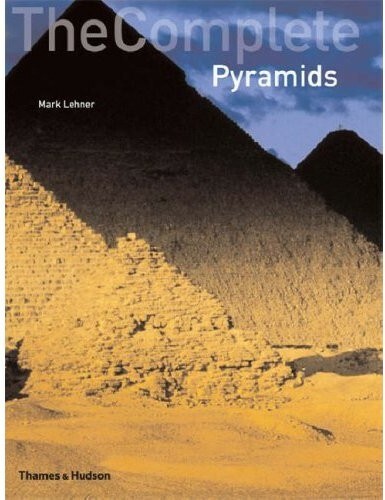 Sadly this is one book, despite what it says on the cover, that most Egyptologists could happily manage without. Published by Worth Press, 2007. ISBN 978 190 30 25321. Hardback, price £20. This is a splendid collection of fourteen essays on the early travellers to the Middle East from the end of the eighteenth century onwards. Unlike modern tourists, the early travellers had to find ways to document their journey, for they were all keen to record and also pass on their experiences to others. Many of the travellers were skilled artists, who looked carefully at the places they visited, and probably felt and experienced them far differently from the ways we do today. Many were visiting a new and exotic world, completely different from their own Western cultures. Their words and images reveal something of the wonder and delight they experienced. Lyla Pinch-Brock writes about “The short happy life, of Harold Jones, Artist and Archaeologist”, who worked at Beni Hassan and Patricia Usik tells of “An Architect’s Progress: Charles Barry’s travels in Egypt”. Barry is best remembered for his design of the Houses of Parliament, but here we can see some of his splendid drawings of Egyptian buildings. Caroline Williams writes on “Egypt Discovered by 19th Century American Artists” and Elaine Altman Evans contributes “By Brush and Lens: Revealing the Sphinx”. Although only just over half of the essays feature Egypt, these, and indeed all the other essays (including travels in Mesopotamia, Cyprus and the Holy Land) are all fascinating reading, and all are appropriately illustrated by contemporary engravings, drawings, paintings and photographs. Published by ASTENE and Oxbow Books, 2007. ISBN 978 1 84217 273 5. Hardback, price £45.